Owner Nicole Awad emigrated from Lebanon 31 years ago, with the goal of opening a family restaurant inspired by Mediterranean food. Originally opened as Main Street Coney’s, Nicole converted the small restaurant across from the Kent campus into its present form. 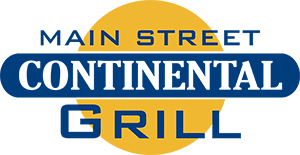 Using family recipes passed down through the generations, the Main Street Continental Grill now offers Kent, Ohio mouth-watering Mediterranean Cuisine, and we welcome you to try it for yourself!